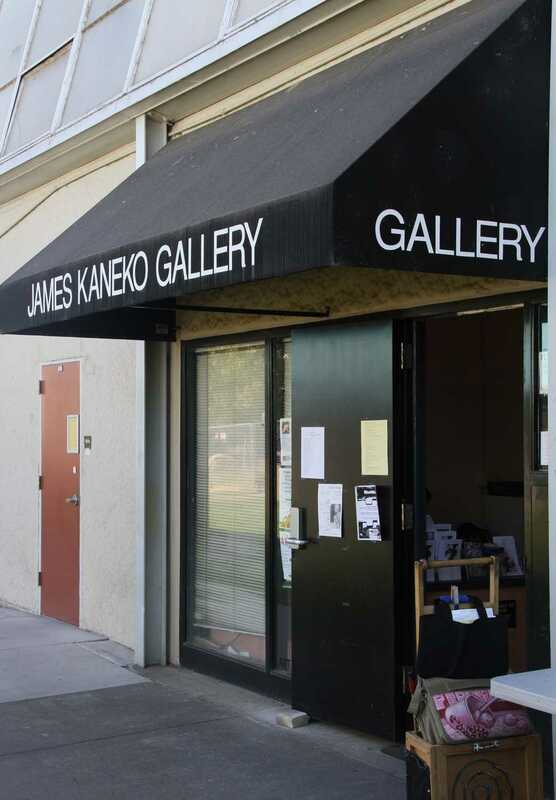 Mic Sheldon, art professor and director of the James Kaneko Gallery at American River College, is excited about his upcoming “Retablos” exhibition running from Oct. 22 to Nov. 15, 2012. The literal translation for “retablos,” known in Mexico as “laminas,” is “behind the altar.” This genre of folk art represents the traditional religious beliefs in the 17th, 18th and 19th century Mexican culture. The introduction of this inexpensive medium of oil paint on tin, reached its height of popularity in the last quarter of the 19th century. A typical “retablero” may have reproduced the same image hundreds of times in his career. “The story goes, painters would travel with their wares in donkey pulled carts from hacienda to hacienda,” Sheldon explained, “offering to paint religious scenes per request of the property owner, in exchange for room and board while the art work was in progress. “During a lull in the color theory class last semester, I got to talking about Paul Thiebaud’s ‘Retablos’ with one of my students, who happened to be one of several people involved with the administration of the Thiebaud collection,” Sheldon said. They spent the rest of the spring semester making arrangements with the Thiebaud Gallery in San Francisco for 25 of the 400-piece collection to be viewed in the Kaneko Gallery. Thiebaud was born and raised in Sacramento, Calif. He started collecting art as a teenager. After graduating from the University of California, Davis, he joined Christie’s Auction House of New York, mentored by Martha Baer. Thiebaud was the son of famed painter Wayne Thiebaud, who first gained recognition in the 1960s during the birth of the Pop Art revolution with his pieces “Pies, Pies, Pies” and “Three Machines,” and also received the National Medal of Art in 1994. Opening reception for the gallery will be on Tuesday, Oct. 30 at noon. Be the first to comment on "Mexican folk art on display at Kaneko Gallery with ‘Retablos’ exhibition"